We are offering Water Bottle Flip Top Cap to our clients. 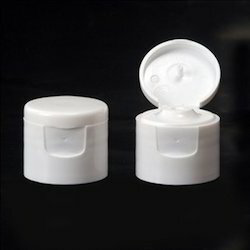 Our company is betrothed in providing a wide range of 46 MM Flip Top Plastic Cap. Our product is made as per market demand using the advanced technique. 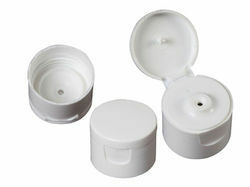 With the help of experts, we are involved in providing a high-quality assortment of 40mm Flip Top Cap. We offer this product at nominal prices. While mounting the tree of victory, it has become increasingly more important for us to present a quality rich Flip Top Oil Bottle Cap. We offer an extensive range of aluminum FFS caps that are fabricated using quality grades of material. Widely used in varied industries, these caps are highly durable, non – toxic and smoothly finish. Available in various shapes and sizes, these can also be custom designed as per the specifications given by our clients.